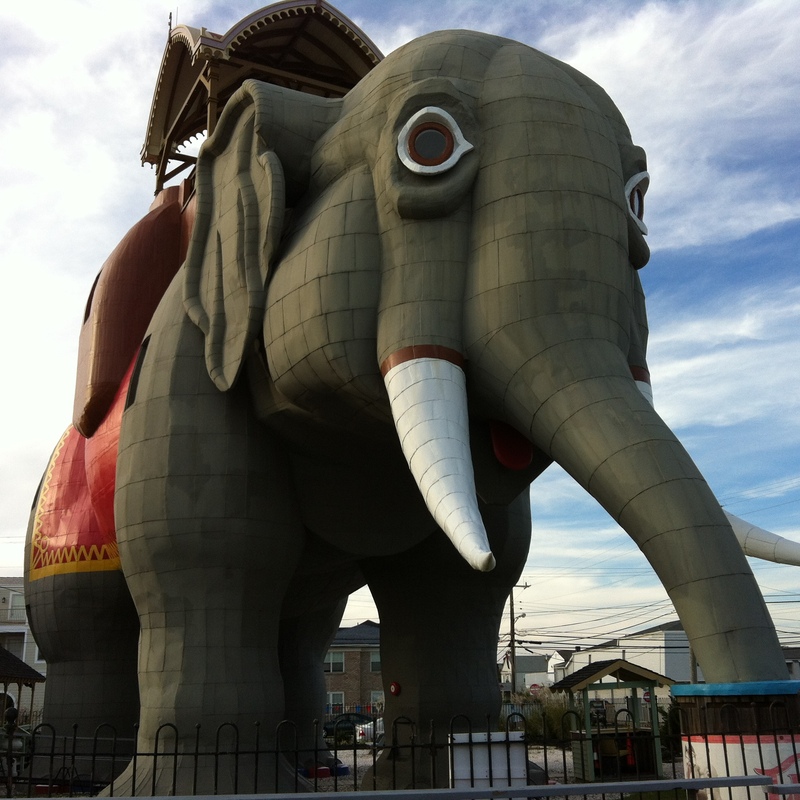 Forgive me for being a tease in my last post — I made mention of Lucy the Elephant several times but didn’t include her picture. For those who have not had the pleasure of visiting her, and to satisfy Walk With Joelle reader requests, here she is! You can actually go inside the structure and learn all about how she came to be. This entry was posted in Uncategorized by Walk With Joelle. Bookmark the permalink.